If you’re looking for spring event inspiration you’re in the right place. 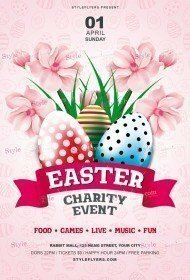 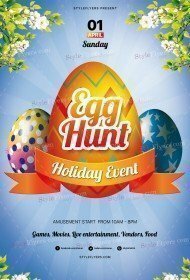 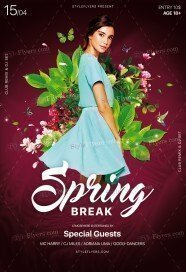 Here you can find a plethora of great ideas for you spring events and also the ways of their online promotion. 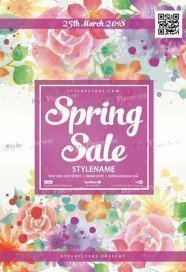 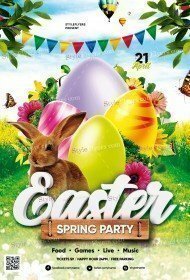 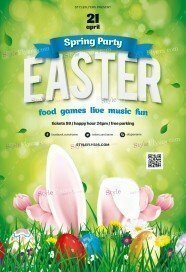 Here we try to collect all our premium spring flyers templates for sale, which are related to the spring season. 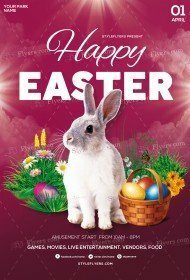 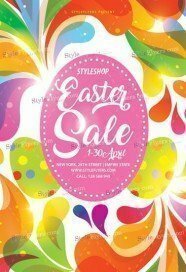 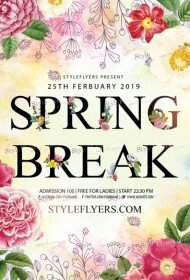 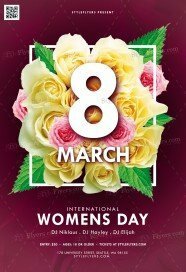 You can buy spring flyer PSD templates for such occasions as, Memorial Day, spring wedding, spring festival, spring travel, St. Patrick’s Day and many others. 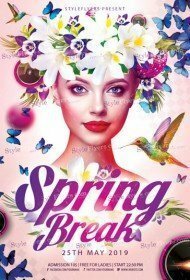 As you can see this listing will be useful for club, pub, travel agency promotions. 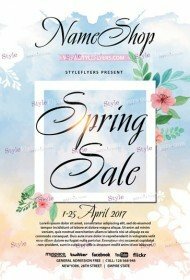 Here you can buy spring flyer template for your spring wedding. 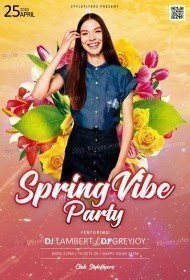 It’s a great opportunity to impress your guests with creative and luxury invitations with Facebook cover. All Photoshop files are very easy to customize, so don’t hesitate to change them. If you’re hard pressed for time or you just don’t want to spend your time by making any changes, you can hire our designers and get a high quality assistance. 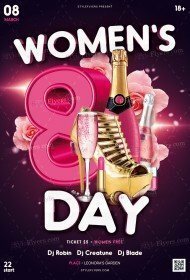 It will save your time and nerves. Also we will be glad to fulfil a personal order and create a special printable design which will follow your requirements. You can make an order and buy a flyer sample of your dream. 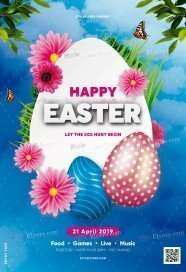 Start cooperate with us right now to experience our high qualification.